Dynamic Concrete Pumping Inc. is a full-service concrete pumping and placing company. Our professional team calls on more than 40 years of experience to deliver cost-effective solutions that keep your projects on-time and within budget. Whether you’re searching for reliable commercial concrete flooring contractors in Alberta or equipment for pouring concrete flooring in Calgary or Edmonton, we offer everything you need in one convenient, dependable source. Concrete pumping is a method of transferring concrete in its liquid state to the areas you need it on a construction site. The two primary types of equipment used are truck-mounted boom pumps and line pumps depending on the size and specifications of the job. There are a variety of options in reach and vertical concrete pumping solutions to choose from. Pumping concrete is an integral part of all different types of residential, governmental and commercial construction projects. To control costs and keep on schedule, it’s critical to have the equipment and expertise to maximize results and efficiency. Dynamic Concrete Pumping, Inc. offers a complete range of products and services to meet your unique requirements. When you choose us as your concrete flooring contractors in Edmonton, Calgary or wherever you’re located, you gain a partner dedicated to your project’s success. We carry an extensive inventory of equipment, so you’re sure to find a solution that represents an efficient fit. Whether you’re performing vertical concrete pumping or simply laying a foundation, our staff has experience and can assist you with each pumping application and can custom design a pumping system for your project. All of our pump operators are certified as per Alberta required OH+S regulations, providing you with the safest fleet of equipment and operators in Alberta. Our units can pump thousands of cubic meters per day if required. We have boom pumps ranging in size from 33-meter booms to 57-meter booms along with truck-mounted line pumps also capable of pumping long distance and high volumes. 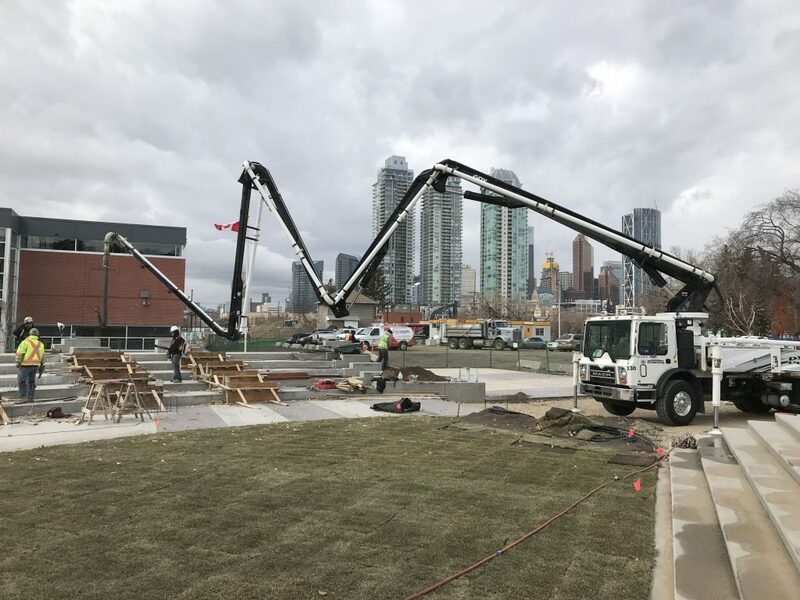 We have separate placing boom experience for high rise applications as well as foundations, sidewalks, slabs, swimming pools and virtually any other job. Dynamic Concrete Pumping, Inc. has a track record of helping contractors complete projects throughout Canada successfully. Our highly trained and certified operators and work crews utilize the latest tools and technologies to deliver exceptional quality results with improved safety and efficiency. As experienced concrete flooring and pumping contractors located in Alberta, we provide the flexibility you need to increase profitability and grow your business. 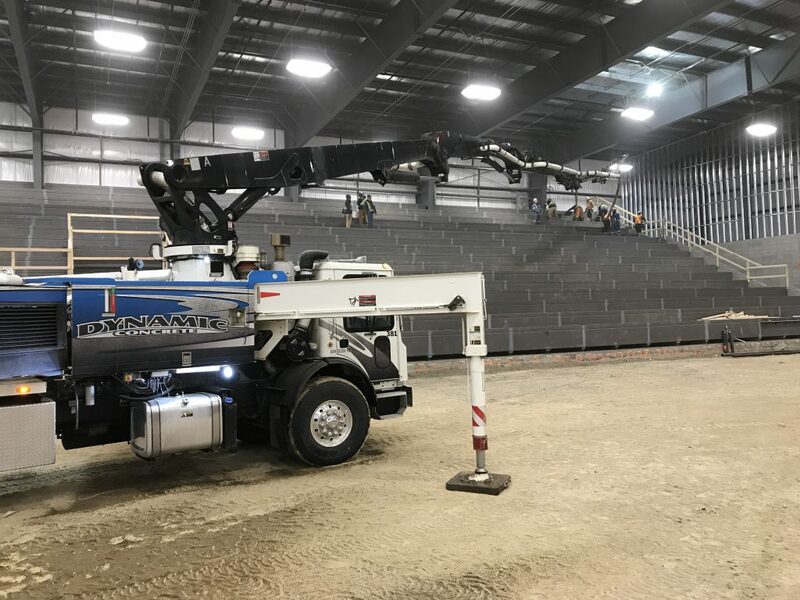 All of our equipment is tested and certified by our highly trained team, which means any concrete flooring work we do for you in Calgary, Edmonton or a nearby area will be completed by extensively trained professionals operating entirely safe, efficient, and reliable machinery. 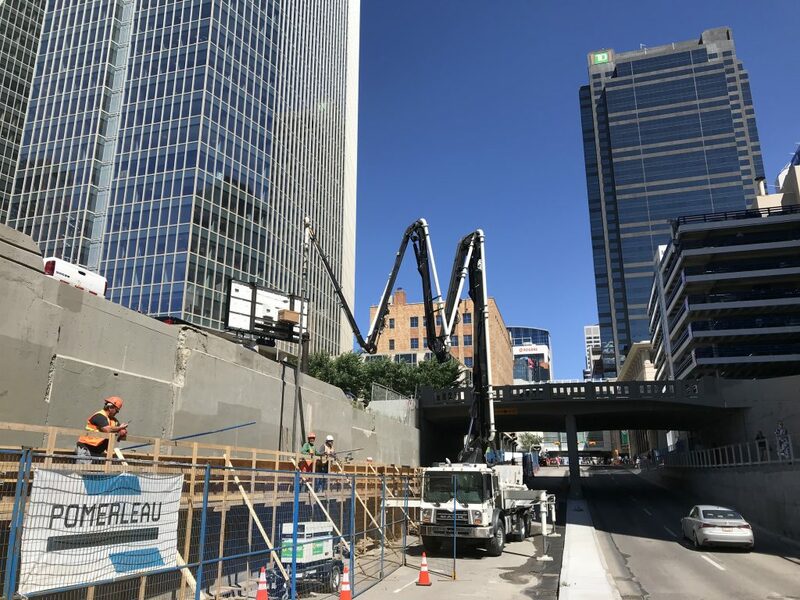 Whether you need reach-concrete pumping in Edmonton or vertical concrete pumping in Calgary, for instance, we’ll get the work done fast to eliminate downtime and increases productivity which saves you money. Instead of buying equipment and trying to take on projects by yourself, trust Dynamic Concrete Pumping to take care of it for you. By trusting professionals who have been in the industry for years keeping up with its standards, you’ll ensure that the work is done right the first time. Plus, you don’t have to spend money on your own training or equipment. Take the worry out of your concrete pumping, placing and flooring projects by partnering with us today. Get in touch by filling out our online contact request form for additional details.